Yipeeeee! #womancrushwednesday is back! After a two week break due to traveling, all is well in the world. At least in my world because today is my favorite day. It is my chance to share another female foodie with all of you. 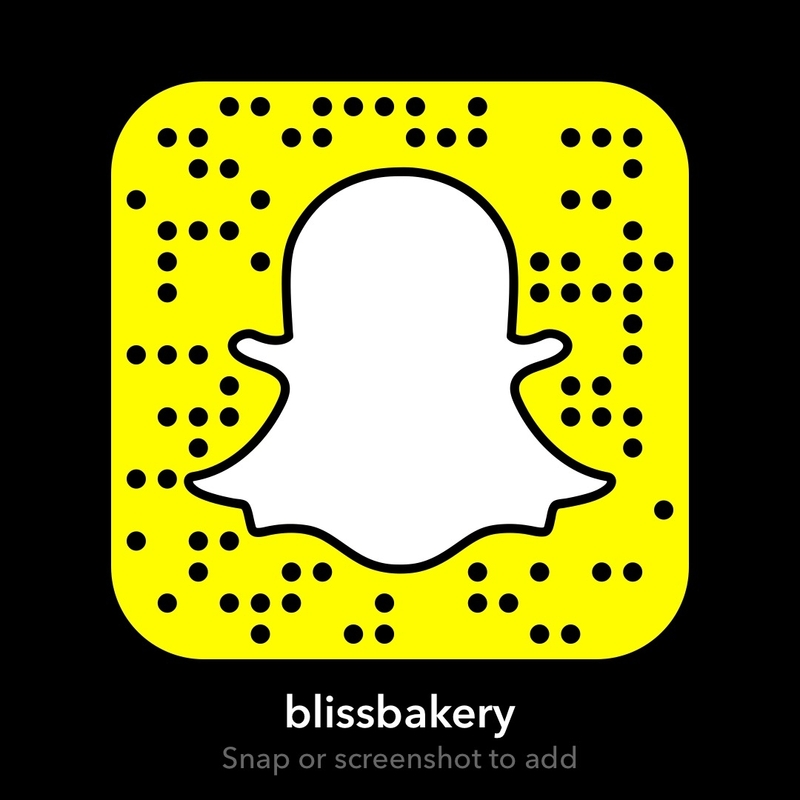 And I will recreate one of her recipes live on Snapchat (my username: blissbakery) and of course share the pics on here as well. Today’s gorgeous gourmet gal is one of my special Snapchat friends. 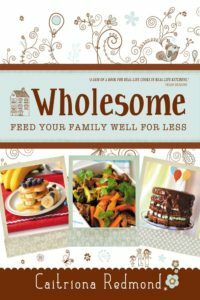 And though I was scheming to make her one of my Sunday Spotlight Snap Sistas, I only just discovered that she has a cookbook! 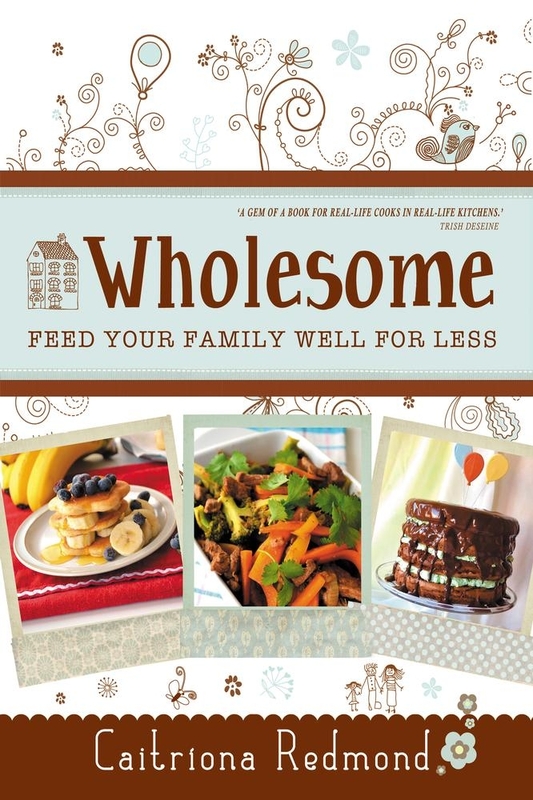 Yes a beautiful critically acclaimed cookbook called Wholesome: Feed Your Family Well for Less. I am in awe, as she not only wrote it but also photographed it all on her own! Caitriona Redmond is a well known Irish food blogger with an award winning site called Wholesome Ireland. She writes for numerous publications and has also been featured on television shows such as The Restaurant as a guest judge. I am actually embarrassed to say that I didn’t know she was a cookery book writer until now. Given the fact that she is so humble she probably wouldn’t have said it to me unless I sleuthed it out on my own. But that gives me that chance to make one of those fabuloso recipes of hers! Caitriona is a wife and mom besides being a fantastic chef. And she is an expert at providing her family great food at affordable prices. In fact that is the premise of her blog. “Thrifty Tasty Bites” is the tag line, and let me tell you, the 300+ recipes reflect that motto! 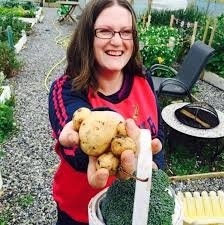 It is a family affair as Caitriona includes the gang in the planting and harvesting of their garden. They grow much of their own produce and even rear their own pork. She is one of the nicest people you’d ever meet (though we haven’t officially met in person yet, I hope to soon) and is extremely generous with her time and information. 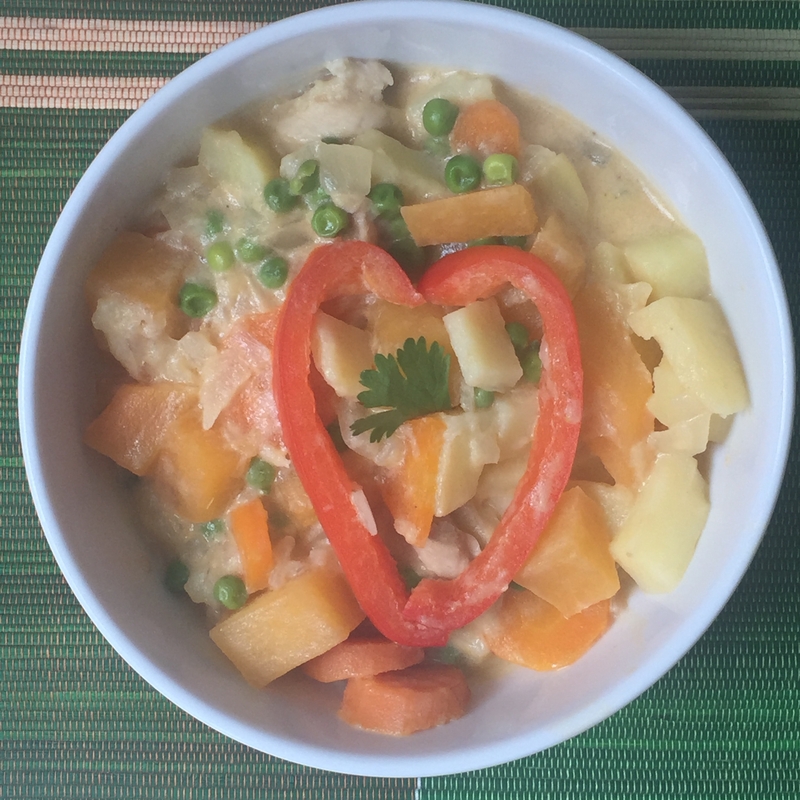 Today I wanted to try her delicious Thai Yellow Curry. However, if you watch the Snapchat tutorial (though it is only online for 24 hours) you will see I couldn’t find yellow curry paste in any store! So I had to improvise and use half green curry paste and half red curry paste. Pour the coconut milk into a large pot and slowly bring to a simmer, stirring often to make sure the milk doesn’t split. Once at simmering point (not boiling), stir in the curry paste. Allow to simmer for 2 minutes and add the diced onion, sugar and fish sauce (or salt if vegan). **If you would like to add meat to your curry, add slices of chicken breast or steak at this stage. How utterly amazing is this? It tastes so delicious! It is not only flavorful but the textures are very satisfying. I can hardly wait for Hubby to try it too. He’s been under the weather since our return from our travels, and a bit of curry is just what he needs to kick his immune system into gear. While Caitriona is an avid photographer (one look at her Instagram and you will see her dreamy pics) I am an iPhone girl. But with her recent blog post of how to up your food blogger game I hope you’ll see some improvement on here in the near future. I took copious notes! 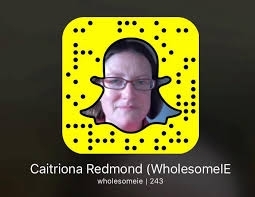 Have a peek at Caitriona’s blog or other social media. She is an Irish treasure! You will defo enjoy and appreciate her wealth of knowledge. Whether you want to organize your food shopping, need tips on parenting, looking for DIY homemade cosmetics or reviews on books, she is the woman for you! And today, she is not only my woman, she is my #WCW, and a dream recipient so she is. She offers super tasty food recipes whether you have a tight budget or not! 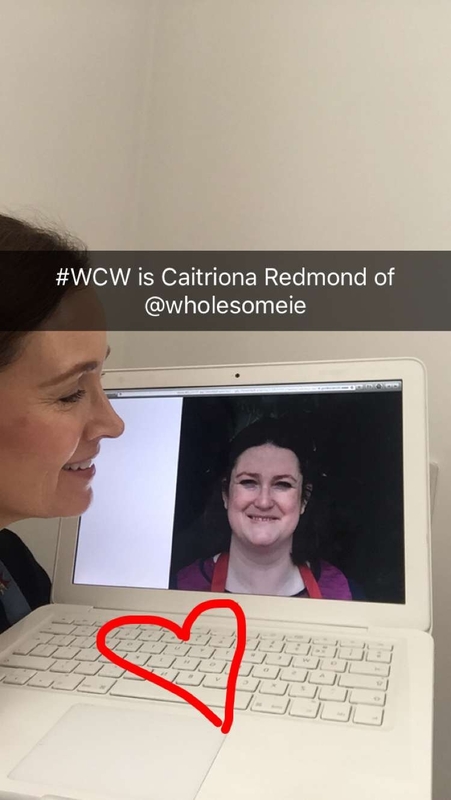 Thanks Caitriona for being a great Snap Sista! I know you are probably blushing right now, but let’s pretend it’s the glow from the Irish sun! 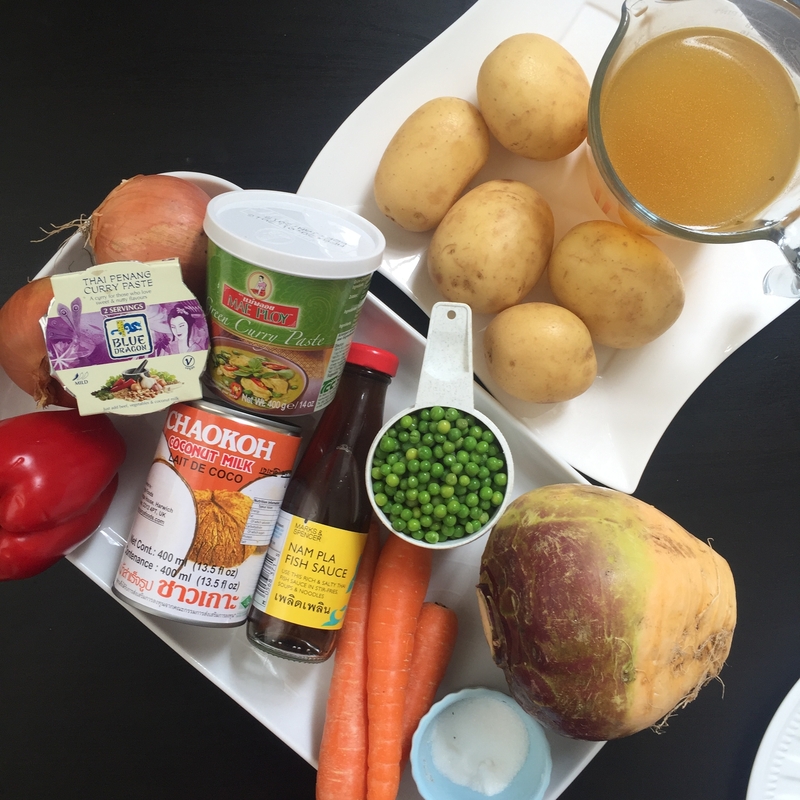 Next > Recipe: Ireland I’m Missing You! Karen I can’t even begin to explain how touched I am that you took the time to try my recipe. 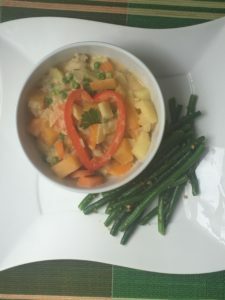 This is the kind of food that I love to cook and nourish my family with and I’m glad to hear that Mr YankeeDoodlePaddy enjoyed it. Hopefully it has restorative powers!